Hear from our partner companies why they love using Triplebyte. 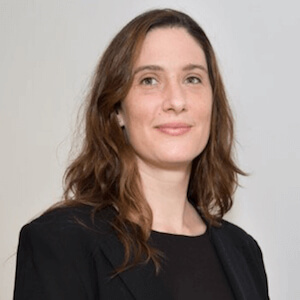 Denali Lumma, Director of Engineering for the Enterprise Group at Box, led a partnership with Triplebyte. It has been a success and what stands out is how Triplebyte has been both faster and saved engineering hours spent per technical hire. 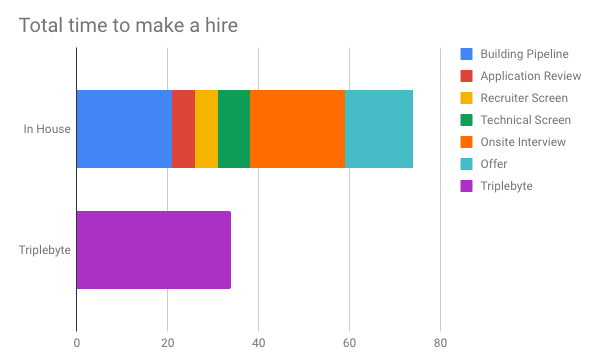 We present some of this data below and asked Denali some more questions on how she thought about the challenges with technical hiring. 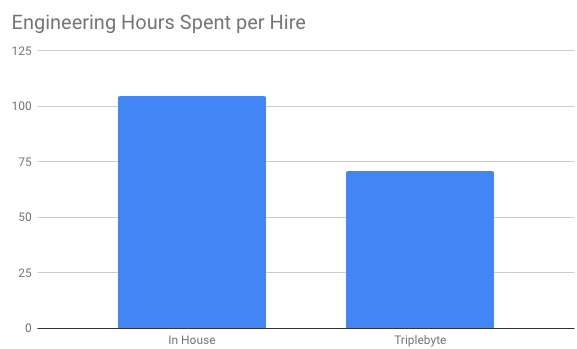 On average 104.88 engineers hours are spent per in house hire compared to 71.12 with Triplebyte. The total time to make an engineering hire in house is 74 days. Triplebyte was 34 days per hire, approximately 40% faster. Can you describe your role at Box? I'm the Director of Engineering for Enterprise group. We build customer facing products typically for the Chief Security Officers, IT, Legal and Compliance teams using Box. What were the main hiring challenges you were looking for help with when considering external hiring support? Well primarily we weren't hitting our hiring targets and that was putting a strain on our ability to hit our business objectives and product goals. When I joined Box, there was a general sentiment that responsibility for hiring fell entirely on the recruiting team and not engineering. I wanted to shift that culture towards making everyone feel responsible for hiring and in particularly getting engineering managers used to spending at least 50% of their time on hiring and building a team. This was a foreign concept for most of them. They weren't used to it and didn't know how to do things like source candidates themselves. So we started looking at additional tools that could support them in taking on additional hiring responsibilities and make that easier for them. A secondary challenge we had was also ensuring our interview process was consistent, with clear rubrics for interviewers. We were finding that interviewers would ask the same candidate different questions and form very different opinions. Without consistent evaluation it's hard to know which opinion is more accurate when making hiring decisions. How did you hear about Triplebyte? I've been following your blog posts and content for a while, I first came across it on Hacker News and have kept following since. What were the perceived advantages and concerns about working with Triplebyte initially? It was a big advantage that we could get setup quickly and easily without investing time or money on our side. We were behind on hitting our hiring targets so we figured there was nothing to lose by trying it out. We viewed it very much as an experiment with no downside. Our main concerns were over cost and would using Triplebyte be cost effective. There was also a small concern about whether the quality of the candidates would be high and if we could trust the quality of the technical evaluation but we viewed those both as easy to answer quickly. What were the main advantages/successes of working with Triplebyte? We were able to meet our hiring goals in a rapid period of time using Triplebyte. That has set us up well for a chance of success with our upcoming product goals. Before working with Triplebyte we weren't hiring at the pace we needed so that's a huge success. How has Triplebyte differed from other recruiting products and services you've used in the past? Our recruiting team loves how Triplebyte has a web interface and software for searching and filtering candidates. This makes it much easier than working with multiple traditional recruiting firms who each have their own processes and ways of doing things. They don't build their own software so you usually have to call them to manage candidates, Triplebyte is much easier. I also like how as an engineering manager I can input my technical hiring preferences and the specific skills I'm looking for in each role by selecting archetypes. What is your advice to others who might be considering using Triplebyte? I'd say Triplebyte is a clear way to get ahead in the technical recruiting war, and it's definitely a war! If you have the budget to invest in scaling your engineering team, I'd say it doesn't make sense not to use Triplebyte considering how hard it is to make a technical hire. Even if you're concerned about cost savings, I'd say it still makes sense for mission critical hiring and situations where you really need to hire in full time people quickly, instead of using temporary solutions like hiring contractors. Gusto partnered with Triplebyte a year ago to help accelerate their engineering and product hiring. 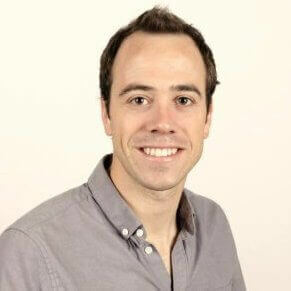 We spoke with Charles Guillemet, who joined the Gusto recruiting team almost three years ago, to talk about their experiences working with us. What first motivated you to give Triplebyte a try? When Triplebyte first pitched us, what stood out was how much data they were collecting about the technical skills of each candidate. They were able to talk in detail about how they'd designed their programming quiz and how they used it to filter and match only candidates who would be above the technical bar at Gusto. Our recruiting and engineering teams were really interested to try this out and see if it worked. After we started seeing candidates coming through, we saw that it did indeed work. We were impressed with the technical strength of candidates. How has Triplebyte most helped the recruiting team at Gusto? (1) The team at Triplebyte has been great to work with. They are always very transparent, responsive, and willing to adapt and make things work well as our hiring needs and requirements shift. (2) The quality of the candidates is really high. They have a great filtering process in place that saves our engineering team a lot of time spent in phone screens. (3) The diversity of backgrounds of the candidates has been really great and is something we care a lot about. We've hired engineers with a profile we wouldn't usually have sourced ourselves and that's been really exciting. Do any candidates you've hired with different backgrounds stand out in your mind? Yes, we hired an engineer who was a former startup founder and consultant who we wouldn't usually have prioritized at the resume screening step. 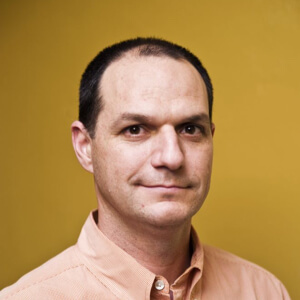 He's since become one of our top engineers and is leading large refactoring projects that are key to the company. Another would be a very senior engineer who was actually one of the co-contributors of GCC (a very popular C compiler). He joined us recently and everyone loves working with him. What's the process of managing workflow and candidates been like? We've liked how active and quickly the candidates coming through Triplebyte are looking to move through the process. We've been wanting to hire quickly and this was a great fit. We could quickly book a time to speak and know that if there was a fit, candidates were ready to interview immediately and make quick decisions. It also helped that we didn't have to think of the first call with candidates as a vetting call but more of a sell call, so we could move them quickly through the process and trust they'd be strong. How has Triplebyte differed from other recruiting services you've used in the past? I've worked with many different agencies and recruiting services throughout my career and Triplebyte is the only one I've ever recommended. I've really never worked with a recruiting service that's so easy and transparent to work with. What we particularly like about them is they focus on delivering a high onsite to offer rate, rather than flooding us with as many candidates as they can each week. We've tried a mixture of other third-party recruiters, from individuals to agencies, and found they'd often send us candidates who had little context about Gusto and didn’t meet our technical bar. Triplebyte was a much better service in all regards. Instacart recently partnered with Triplebyte to help with engineering hiring. Triplebyte founder, Harj Taggar, asked Instacart VP of Engineering, Udi Nir, about his experience working with Triplebyte. How did you get comfortable bringing Triplebyte candidates straight to onsite without doing your own technical screening? We actually had one of our own engineers go through the Triplebyte process to test it out. We saw they were conducting a rigorous technical interview and decided we could trust it enough to start bringing their candidates straight to onsite. We reviewed how well the candidates were doing and once we saw them deliver a high onsite success rate, we felt comfortable continuing to do so. What have been the main advantages of working with Triplebyte? The quality of the Triplebyte candidates has been very high and they've already done a lot of the actual screening work for us before we engage with them. We usually give candidates a take home programming challenge to do before they come onsite and we expect a third of them to fail this. We don't have to give this challenge to Triplebyte candidates, this all reduces the time it takes us to hire engineers. We were also surprised at hiring a couple of strong junior engineers through Triplebyte. This wasn't our main area of focus and we get a lot of applications from junior engineers but haven't had the resources to filter them. Triplebyte matched us with just a few exceptionally strong ones, making it easier to hire a few we had the capacity to onboard and mentor. We appreciate that Triplebyte doesn't take a high volume approach and send us lots of resumes to screen and review. They've focused more on sending us a smaller number of well matched candidates each week, which creates less work for us. They've built actual technology to help with booking calls with candidates, following up and leaving feedback which integrates with our ATS. This makes co-ordinating logistics easier. The team is also always seeking feedback and actually uses that data to improve their candidate matching. Have you hired candidates from Triplebyte who would have failed your resume screen? Yes, we've hired a great engineer who was self taught and was previously working as a pizza delivery person and had hourly jobs working in warehouses. His background actually made him uniquely suited to understanding our logistics challenges and we'd not have engaged with him based on his resume alone. Get started using Triplebyte to hire engineers. Mixpanel partnered with Triplebyte on technical hiring as they were looking for ways to meet their hiring goals. We talked with Mixpanel Director of Engineering, Neil Rahilly, about his experiences working with us. We had our engineering team try the Triplebyte screening process and that built confidence it was a good technical screen. The candidates who then came onsite were doing well and we felt good about keeping it going. The main advantage has been it's a great source of high quality candidates. We were trying to figure out how to scale our recruiting efforts and we'd brainstormed the usual ideas e.g sponsoring conferences, career fairs, LinkedIn outreach, referrals, etc. We tried them all and the two things that worked the best were Triplebyte and building our internal recruiting team. Working with Triplebyte lets our recruiting team spend less time doing screening and more time personalizing the candidate experience and getting them excited about Mixpanel. We care a lot about removing bias from our hiring process. That's always been a part of the Mixpanel culture as we've had to look further afield to hire people as our early team didn't have strong referral networks to pull people in from. As a result we've built an eclectic group of engineers, including many engineers who are self-taught like me. We like that Triplebyte has thought a lot about ways to remove biases from hiring e,g. their candidate profiles don't contain names of companies or schools a candidate has attended. We tried recruiting agencies but they didn't work because the quality of candidates was poor. It was also frustrating to deal with situations where they weren't actually working with candidates they claimed to be. Triplebyte uses more technology and has a more quantitative nature than any agencies we've used. To us it's like they're building out the engineering recruiting team that is data driven in a way that fits really well with the Mixpanel product and culture. Triplebyte was recommended as the best hiring tool at a CTO summit attended by leaders from Apple, Google, Dropbox and Slack. Ready to give Triplebyte a try?